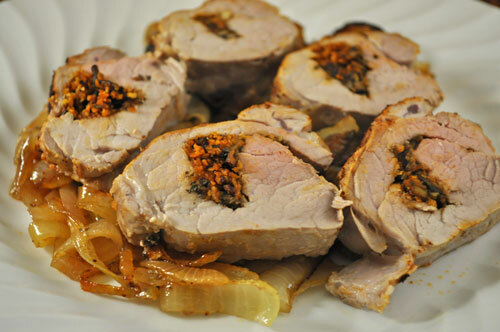 Scallops in Wine, Stuffed Pork Tenderloin, on 6 day Menu Plan, Nov. 15, easy recipes. I didn't specify what type of ricotta to use. I use whole milk ricotta, which has roughly 400 calories per 8oz versus 200 calories in the Fat Free version. As a matter of personal choice I don't use fat free products (too many unpronounceable ingredients). I would suggest using Skim Milk Ricotta as an alternative (app 325 calories) to keep the creaminess.